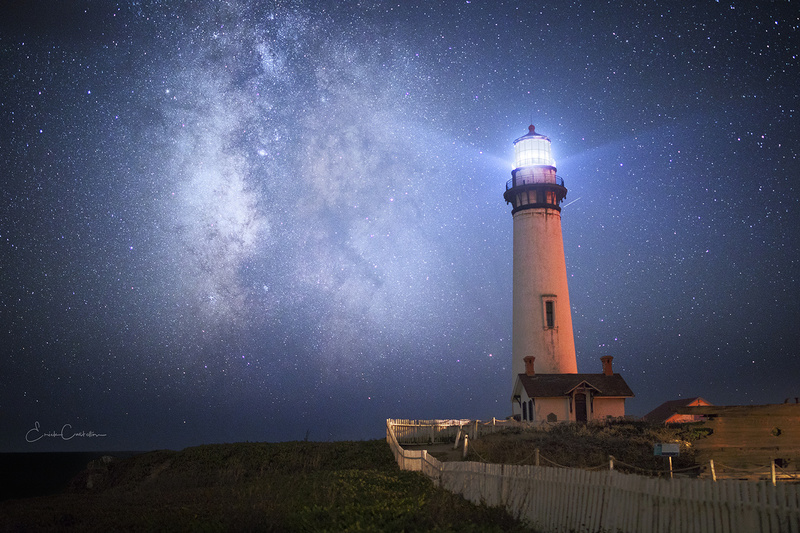 Shot last year at Pigeon Point Lightouse, California on a clear night. I've tried a few times but was burned by the clouds that rolled in shortly after sunset. I timed the shot with cars driving in from the main road to provide light on the lighthouse.